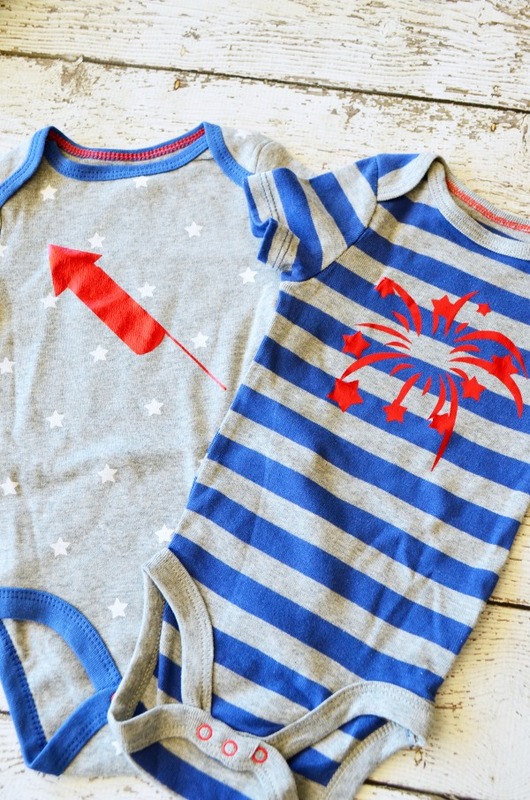 These Patriotic onesies will make a bang at your summer baby showers! Heat transfer vinyl designs are not for solids only, with the right design and print you can really get playful and have fun. 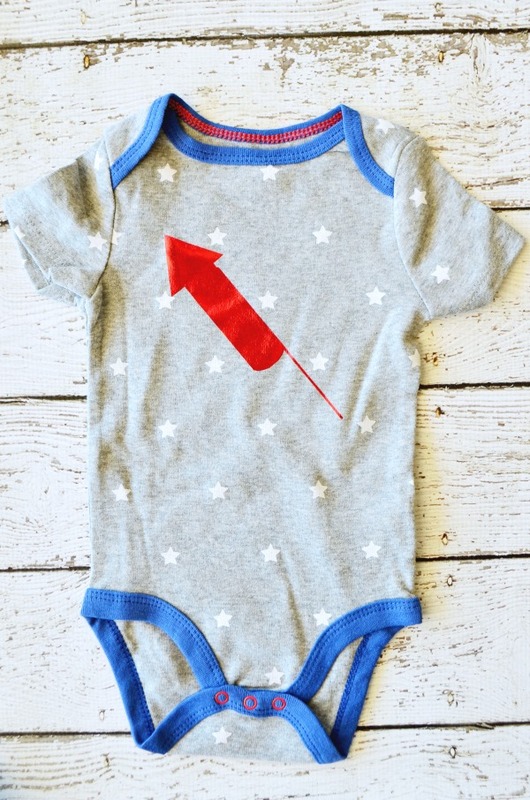 The red foil HTV works great and contrasts well with the stars and stripes on the firecracker and fireworks onesies. 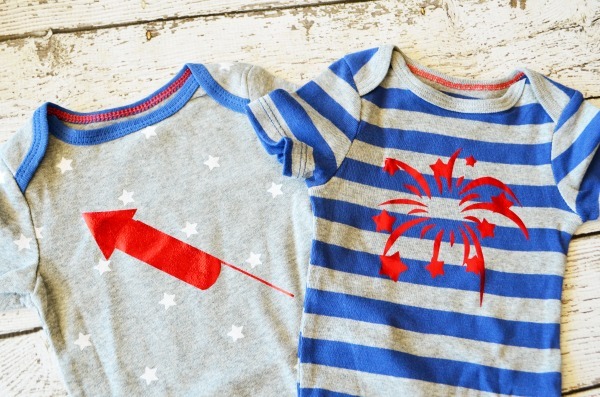 All you need to start making your own shirts is an electronic cutting machine, like a Cricut, and an iron. A heat press is a bigger investment and not a necessity, but definitely increases the professional quality of your designs. My new favorite way to make designs is by hand drawing and scanning into the computer like this cactus shirt, but open clip art or purchased art works just as well. For these I simply grabbed a design I liked, uploaded it into my Cricut Design Space, and created a file to cut from. Want to create the same design? 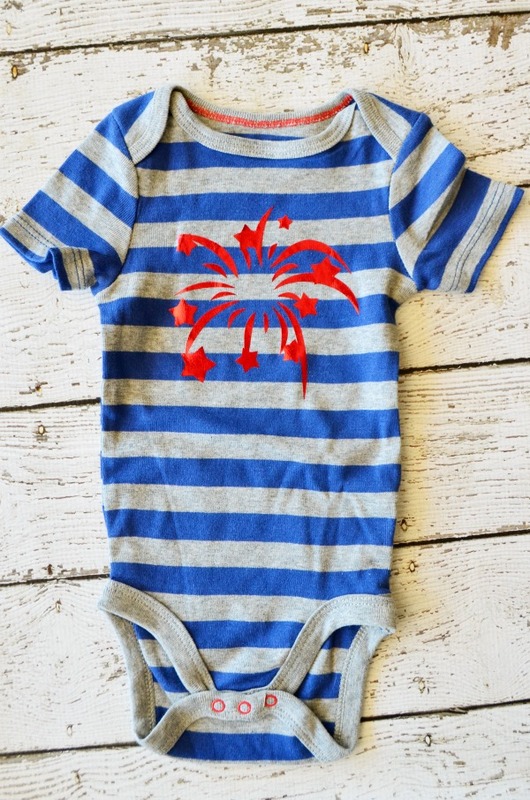 Grab the firecracker and fireworks files by clicking on the photos below of each onesie. Want to save for later? 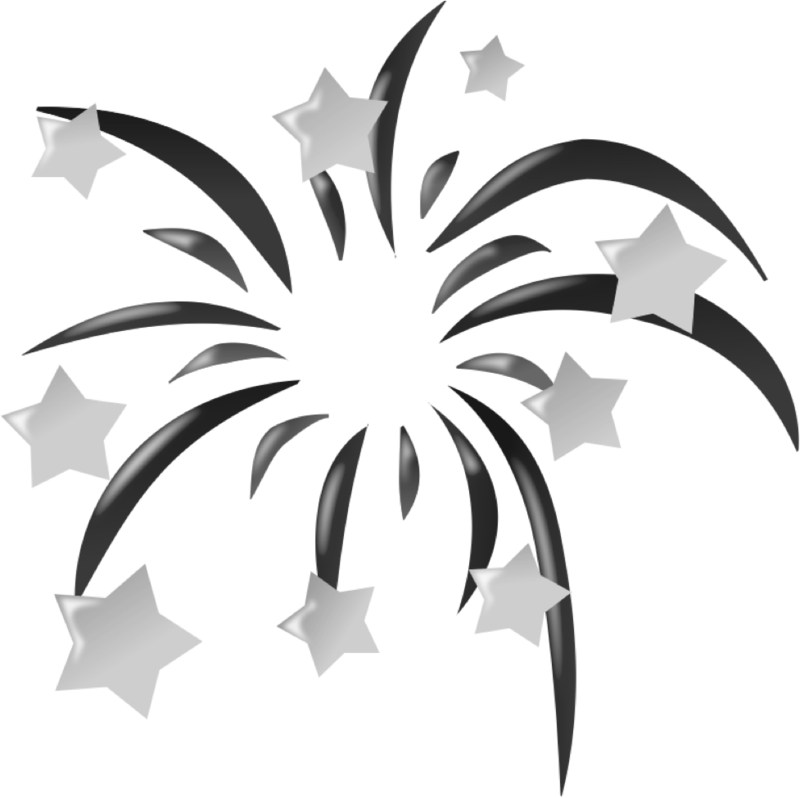 Pin the image below so you can come back and grab the designs and tips later.